Welcome home! This immaculate 3 bedroom 2.5 bath home in historic downtown Danville is ready for its new owners. Home boasts 10 ft ceilings, gorgeous hardwood floors, craftsman style trim and molding, updated kitchen with massive island & pantry, stainless steel appliances, master suite on the main with his & her closets and updated master bath, large 2nd and 3rd bedrooms with walk-in closets, dual sinks in secondary bathroom, 1/2 bath on the main, laundry room, fully fenced backyard and a two-car garage. Fantastic location to library, government center, shopping and eating. Hurry in before it's too late! Directions:Head east of Danville courthouse, then turn south on Indiana. Just past Library. House is on the right. SchoolsClick map icons below to view information for schools near 264 S Indiana Street Danville, IN 46122. 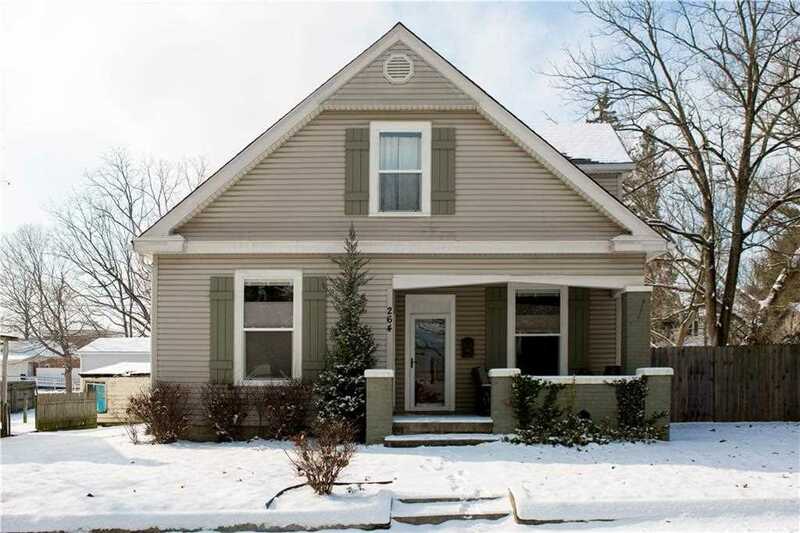 Home for sale at 264 S Indiana Street Danville, IN 46122. Description: The property at 264 S Indiana Street Danville, IN 46122 in Hendricks county with the BLC / MLS 21617287 is currently listed for $192,000 and has been on this site for 72 days. You are viewing the MIBOR listing details of the property for sale at 264 S Indiana Street Danville, IN 46122, which features 3 bedrooms and 3 bathrooms, and is approximately 1980 sq.ft. in size.